Thank you for your letter of 2 May relating to the Olympic and Paralympic Route Network and associated measures (ORN/PRN). 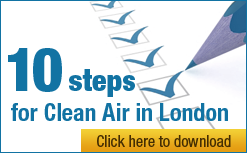 We remain concerned, however, that the approach taken by TfL to assessing and mitigating the air quality impacts of the ORN/PRN will fail to protect the health of Londoners and is unlawful and fails to meet the obligations of the Air Quality Standards Regulations 2010.
the attainment of the limit value under Directive 2008/50/EC (“the Directive”) and the Air Quality Standards Regulations 2010 (“the Regulations”) relates to the entire ‘zone’ of London (Le. the Greater London area as a whole), not to individual locations within that area. 17.—(1) The Secretary of State must ensure that levels of sulphur dioxide, nitrogen dioxide, benzene, carbon monoxide, lead and particulate matter do not exceed the limit values set out in Schedule 2. The duty is not worded in a way that supports your interpretation: the Secretary of State is subject to a general duty to ensure that the limit values are not exceeded and in the absence of further specification, the natural interpretation is that this duty applies everywhere. Indeed it would be very surprising if the Regulations allowed poor air quality in one part of London to be worsened because it was also poor somewhere else, given the obviously unfair distributional impacts this would have on public health. The use of the word ‘throughout’ here clearly indicates that compliance must be achieved in all parts of any given zone. It follows that where compliance has been achieved at a given location, a measure that pushes air pollution levels above the limit value(s) at that location would constitute an aggravated breach (and we have no hesitation in using this term). We remind you that the limit values for nitrogen dioxide (NO2) have been binding since 1 January 2010, and no time extension has yet been granted to the UK for compliance with the NO2 limit values in London; there is therefore an on-going obligation to maintain air quality below limit values at these locations. No time extension is possible for PM10 in 2012 or thereafter. Air quality status should be maintained where it is already good, or improved. Your interpretation of the s.17 duty leads to a position that is absurd when considered in the light of the public health objectives of the legislation: you state that because London (as a zone) ‘is not currently attaining NO2 limit value’, a worsening of air quality at specific locations ‘will not affect London’s compliance-status under the Regulations and Directive’ and is therefore (apparently) acceptable. You appear to rely on two factors in reaching this conclusion: (i) the temporary nature, and (ii) the small area of the increased exposure. ii. You state that an area of ‘only’ 0.05 km2 would be pushed above the limit values for NO2 by the ORN/PRN. Assuming an average London population density of 5,000/km2, this area represents approximately 250 individuals who will be exposed to breaches of NO2 limit values as a result of the ORN/PRN. We are unable to make any judgment as to whether these 250 individuals have any particular ethnic profile: despite our request in our letter of 9 March, you have not provided data that enables us to understand with any accuracy where these impacts will fall. The maps you supplied offer a general view of where additional impacts will fall, but not where limit values will be exceeded that would not otherwise have been. In any case they are not at a sufficiently large scale to enable us to understand the impacts on specific streets or neighbourhoods. If you have information detailing the impacts at this scale, we would be grateful if you could supply it. If you do not, on what basis do you assert that there will not be impacts specific to any minority group? Concentration trends so far in London in 2012 have been dominated by wider pollution episodes which have also extended well beyond London. This is not related to the Olympics. This discloses a misunderstanding of how the Regulations operate. The source of concentration trends is irrelevant to compliance with the air quality limit values (unless they are one of a very few specific factors to be discounted, such as natural sources and/or winter sanding/salting that are not relevant here). The limit values have been set at levels designed to protect public health, and the competent authorities must exercise a precautionary approach to achieving compliance with them that allows for the effects of a variety of factors. The most recent pollution data is clearly a crucial factor to take into account when assessing likely compliance with the limit values in 2012 – whatever the underlying reasons for trends in that data. In light of the legal obligation to improve air quality in areas where legal limits have not yet been attained and to prevent aggravated breaches of limit values for NO2 (and/or PM10) (i.e. new breaches in areas where limit values have been obtained), and the need to address the real level of pollution in 2012, our client, Clean Air in London, remains of the view that the vague, half-hearted and unquantified mitigation measures proposed by TfL are wholly inadequate. specific warnings to vulnerable groups and very thorough warnings in areas where breaches are expected to be triggered by ‘the ORN/PRN and associated measures’ with advice on adaptation. Our client, Clean Air in London, points out that it first raised these concerns some 12 months ago. We look forward to hearing from you.